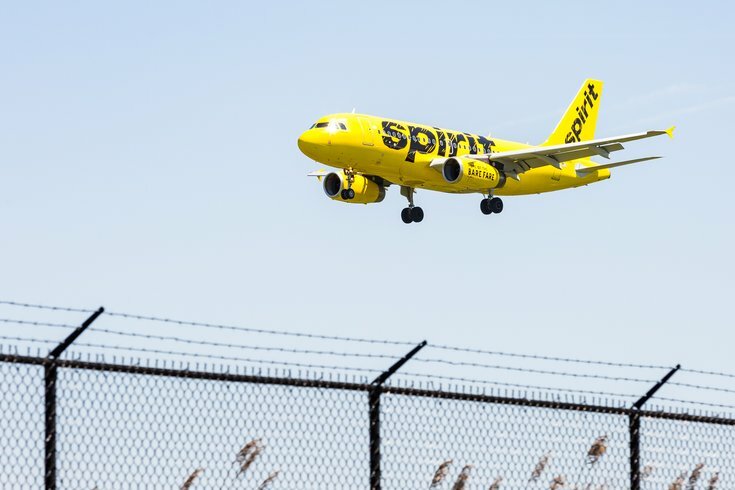 A Spirit Airlines airplane lands at the Philadelphia International Airport. Ahead of the new year, budget airline Spirit is announcing some new routes for 2019, including a nonstop flight from Philadelphia International Airport to New Orleans that could cost less than $200 round-trip. Beginning May 2, 2019, flights to Louis Armstrong International Airport from PHL will run four times a week on a seasonal schedule. The new offerings expand Spirit's nonstop service in New Orleans to about 17 flights a day, to 20 cities. The carrier also announced this week a new direct flight from New Orleans to Denver and Austin, beginning in 2019. Earlier this year Spirit also began flights to New Orleans from Atlantic City, which runs year-round (in case you're trying to make it there for Mardi Gras, which falls on March 5 next year). Round-trip flights from Atlantic City to New Orleans on Spirit can run as low as $131. A flight search on Friday afternoon priced Spirit's upcoming flights from PHL as low as $151. The most expensive flights, depending on the day of the week, were about $255. The flight from Philadelphia to New Orleans take just a little more than three hours. Because Spirit is a low-cost carrier, passengers should expect to fork over some extra fees if there are particular features you prefer, including checked baggage, seat selection, shortcut boarding, or flight flexibility.